Somni, is the Catalan word for “dream”. One of my all-time favorite books has been The Alchemist, by Paulo Coelho. It is one of those books that I keep to enjoy again every few years. With each new encounter, I find some fresh nugget of inspiration, insight or perspective that helps guide me along whatever part of my life’s path I’m currently on. The book centers around the main character’s journey to realize a dream. While reading it again recently, I was reminded of a recurring dream I had as a young teenager. 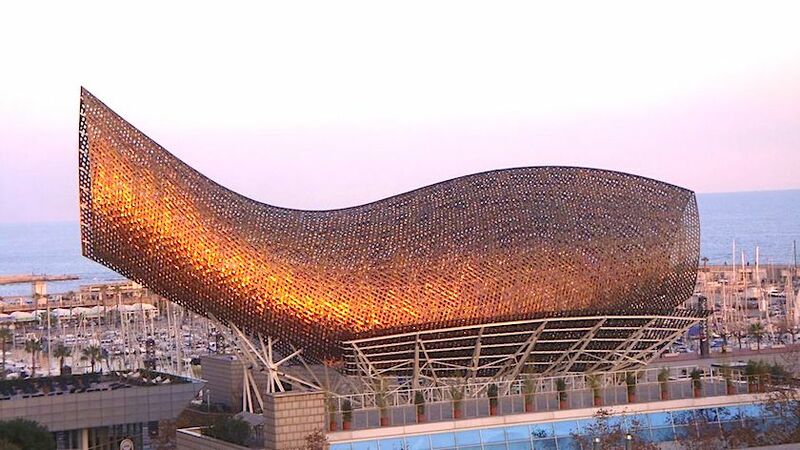 I was about 14 or 15 years old when I started dreaming visions of strange buildings composed of curved lines and organic shapes. They seemed almost otherworldly, as I had never seen anything like them before. 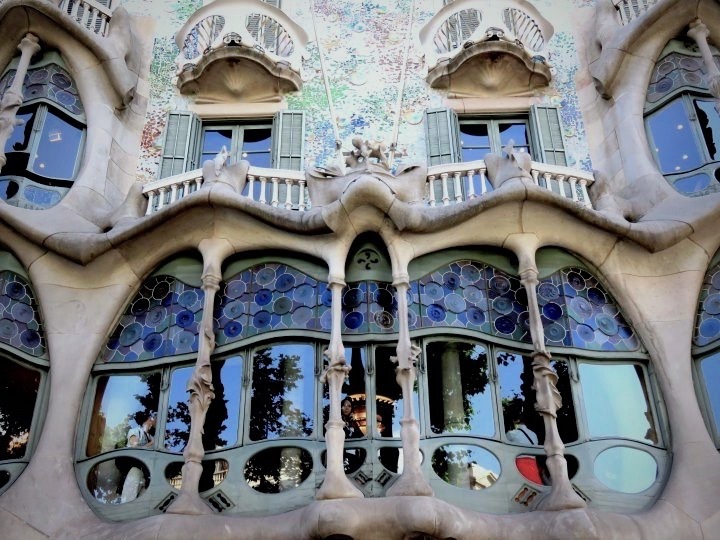 Years later, in a college art history class, I discovered Catalan architect Antoni Gaudí and saw the unforgettable images from my dreams revealed to be two real-life buildings located in Barcelona. 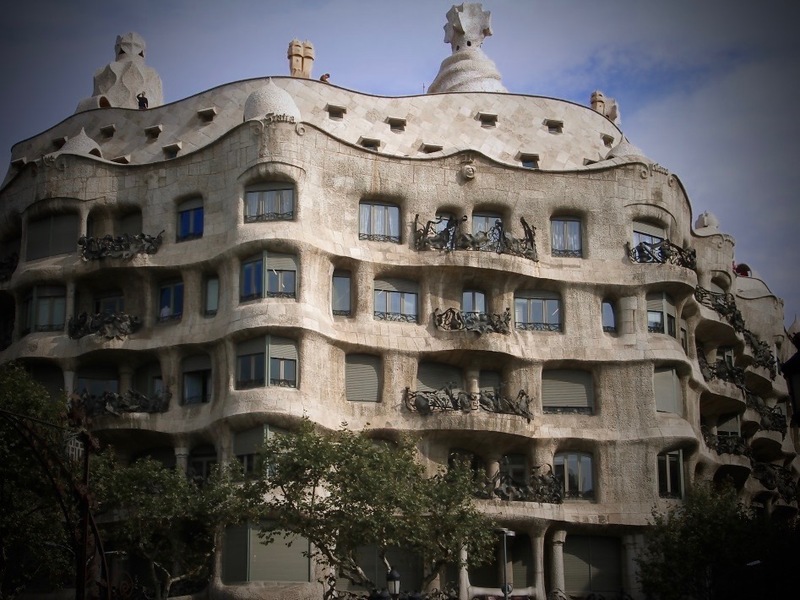 Built in the early part of the last century, Casa Batlló and Casa Milà are considered masterpieces of architecture. I’m not sure how I came to dream about Gaudí’s masterpieces. As a child who spent hours in the local library, it is possible I had seen photos of the buildings and forgotten. Carl Jung’s theory of a collective unconscious populated by shared archetypes and forms could offer an explanation. Perhaps the images that inspired the Catalan architect were part of some universal human awareness that both Gaudí and I tapped into, and he created something tangible from his dreams. If you haven’t read The Alchemist, I highly recommend doing so. If you have, perhaps think about opening those pages and experiencing it again, from a new perspective. In 2013, researchers at Emory University published the results of a study showing how reading a novel can improve brain function and connectivity, particularly in the central sulcus, the primary sensory motor region. The research showed that enjoying fiction can affect one biologically. Simply reading about a character running can activate the neurons associated with the physical act of running. This is only a theory on my part, but perhaps these effects could make the transition of mental images, dreams and ideas into reality easier to accomplish – a neural work-out, so to speak. Then again, perhaps taking the time to enjoy a good book – and possibly be inspired by it – is reason enough to open those pages. Salmon Croquettes with Honey, Lemon and Avocado make for a dreamy addition to a tapas plate. These croquettes are absolutely delicious and fairly easy to prepare. I prefer Salmon from the Pacific Ocean, and Sockeye Salmon is my favorite. Luckily, Trader Joe’s carries canned Wild-caught Pacific Sockeye Salmon. This recipe will serve about 4 people as a main course and 6 to 8 as an appetizer. In a small bowl, mix together the flour and baking soda. Set aside. Drain the salmon (if you have kitties, the liquid makes a nice treat for them) and remove any bones, if desired (I leave them in and just mash them up – they are edible). In a medium-large bowl, mix the drained salmon and the remaining ingredients together with a large fork, flaking the salmon as you mix. Add the flour mixture to the salmon mixture, about a third at a time, until thoroughly combined. In a deep, heavy saucepan, add oil to a depth of 1 inch. Heat over medium-high heat until a thermometer reaches 350°F. Alternatively, you can add a kernel of unpopped popcorn to the pan. When the kernel pops, the oil is ready; remove it and proceed with recipe (this is my method). Scoop out 2 tablespoons at a time of the mixture and carefully drop into the oil. Turn the balls with a slotted spoon, once or twice, to cook evenly. When balls turn a deep golden brown, remove and let drain on paper towels. Keep the fried balls warm in a 250°F oven while you continue with the rest of the mixture. Serve hot, drizzled with honey and accompanied by Lemon Avocado Mayo (recipe below). For extra fanciness, you can serve this tangy, creamy dip in lemon shells that have been cut in half and hollowed out. You will want a creamy-style variety of avocado for this, such as a Hass. This recipe makes about 1 cup, which is enough for four persons. If you are serving more people, you may want to double it. You will want to prepare this before you make the Salmon croquettes, but don’t make too far ahead of time, to prevent the avocados from losing their bright color. Scoop out avocado(s) into a medium bowl and mash well with a fork. Add mayonnaise, lemon juice and zest, cumin and smoked paprika. Mix together with a fork, until creamy and fully combined. Season to taste with salt and pepper. Serve with Salmon Croquettes.